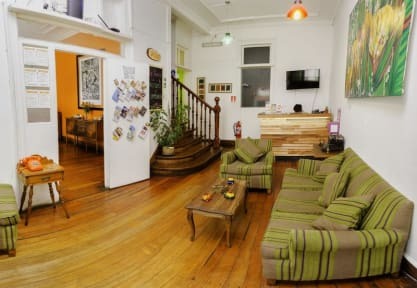 What I liked the most about this eco-hostel is that the staff truly cares about the structure's environmental impact. Water is heated by solar energy, garbage is carefully sorted and they even make compost out of organic waste. Plus, it is cozy and nicely decorated. Good breakfast and friendly staff. I stayed for one night only, but I wouldn't have minded to stay longer.